Where modern living meets urban glamour. 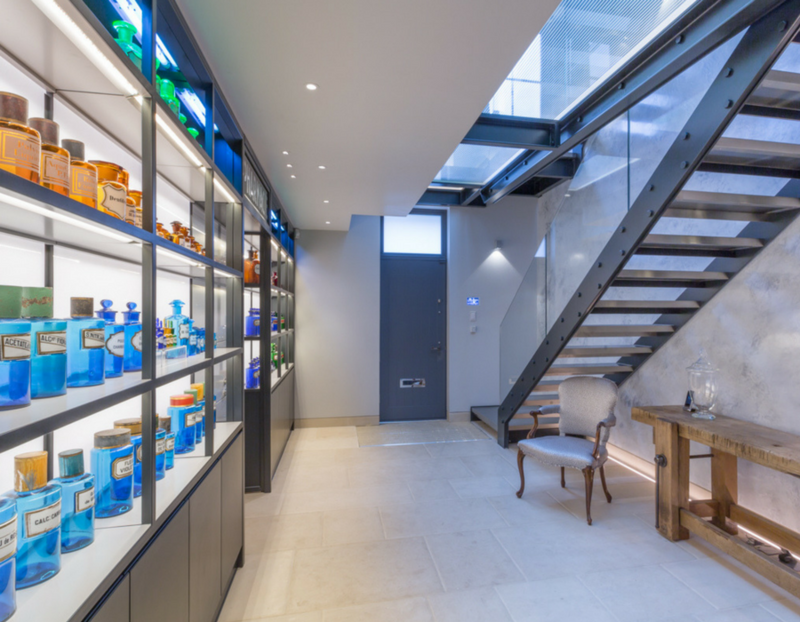 Large skylights, industrial fixtures and sleek stone flooring make this London Mews house one of a kind. 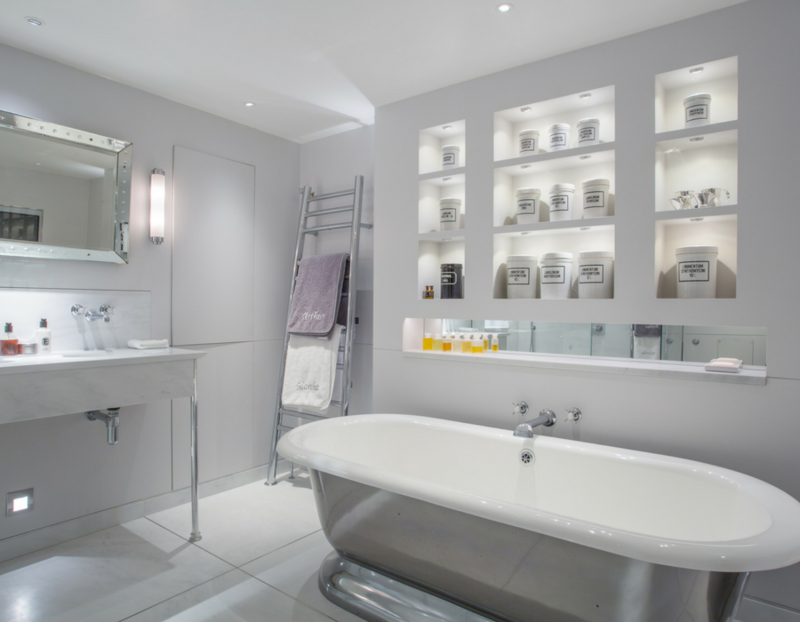 Artisans of Devizes worked alongside Harrison Sutton Partnership to deliver a project with design flair and attention to detail. 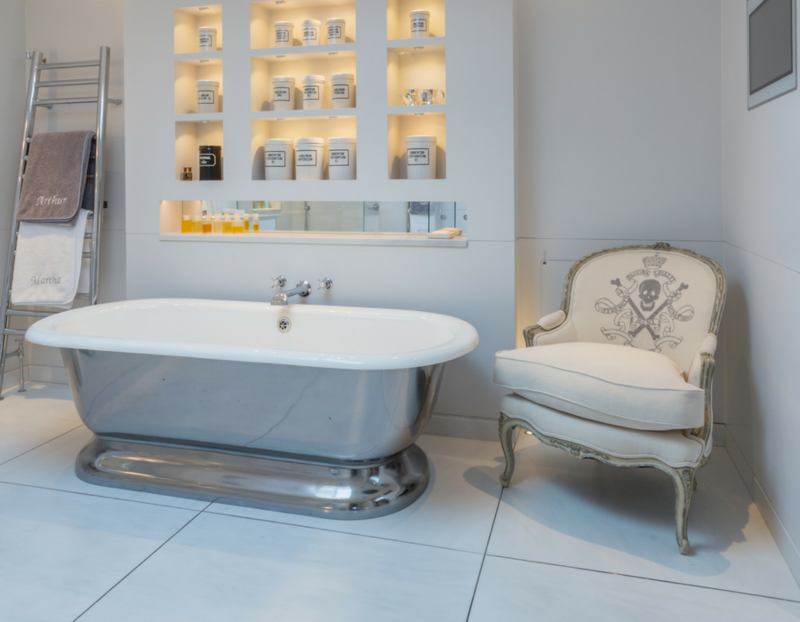 The owners commissioned Artisans to supply stone floor and wall tiles and bespoke features. 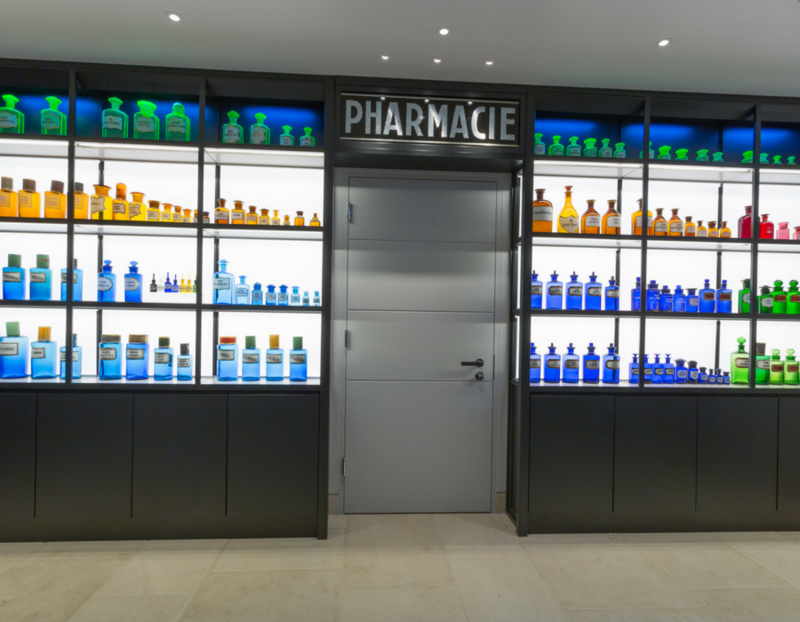 As a company, we have a longstanding relationship with the client, after working with them on completing the design process of their first home. 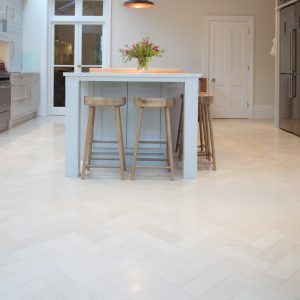 In the entrance hall, the clients opted for Portland Classic limestone in a distressed finish. 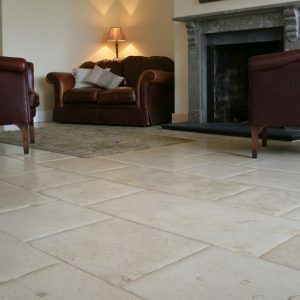 The distressing of the stone exposes the surface grain and slight variations in colour. 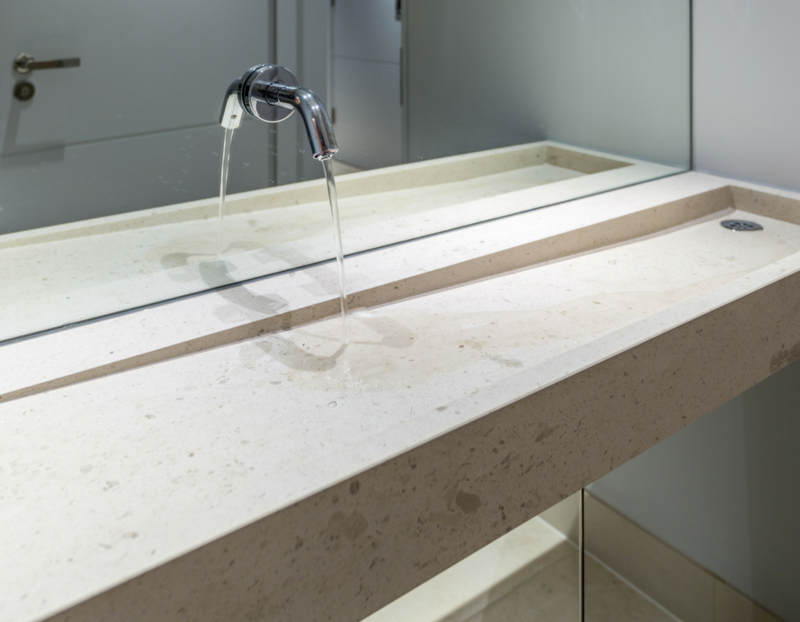 For the cloakroom, we supplied Tora Blue decorative honed bricks and a bespoke carved unit in Sloane limestone. Playing on the industrial design scheme, we cut Palissandro Bluette marble to size for a table-top feature. 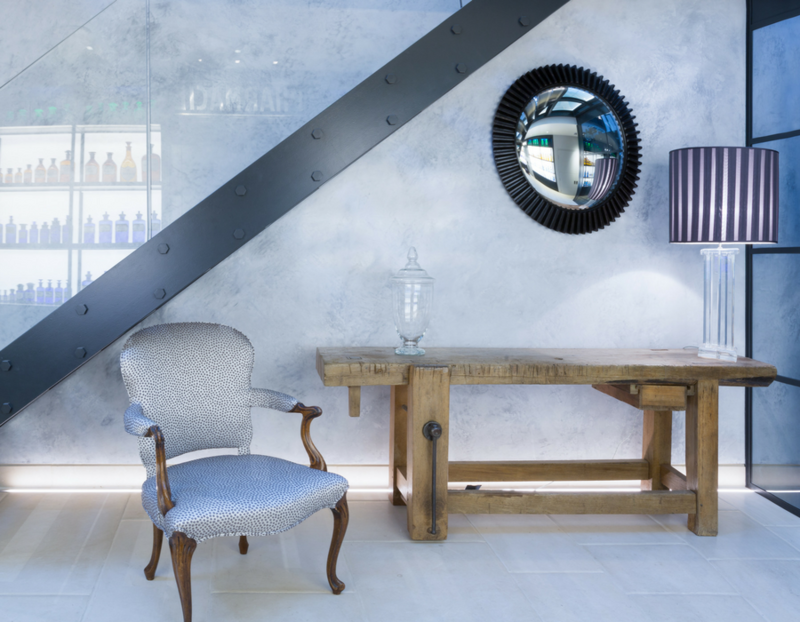 The cool, washed out grey tones and bright white highlighting complements the glamorous, urban interiors. 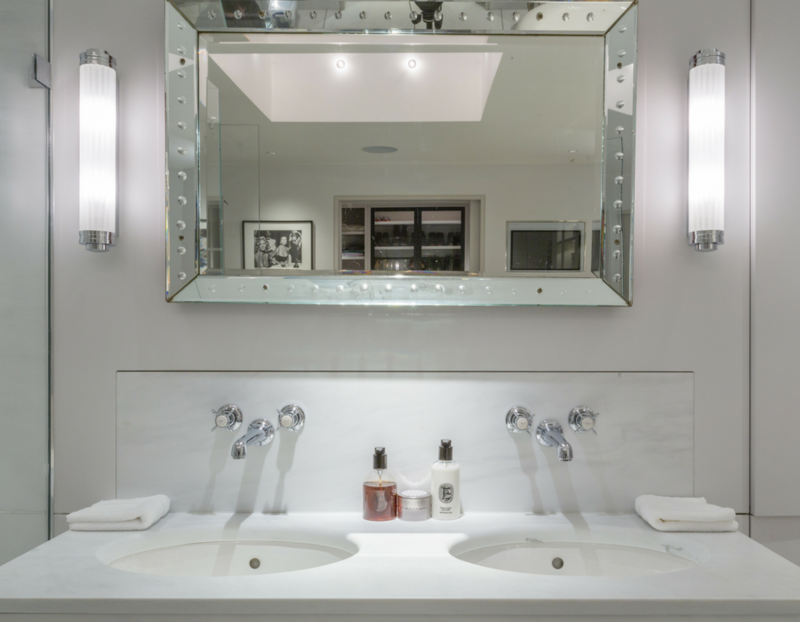 In the master bathroom, we supplied Bianco P White marble (with polished chrome insert in lieu of grout) in very large formats for the floors and walls. 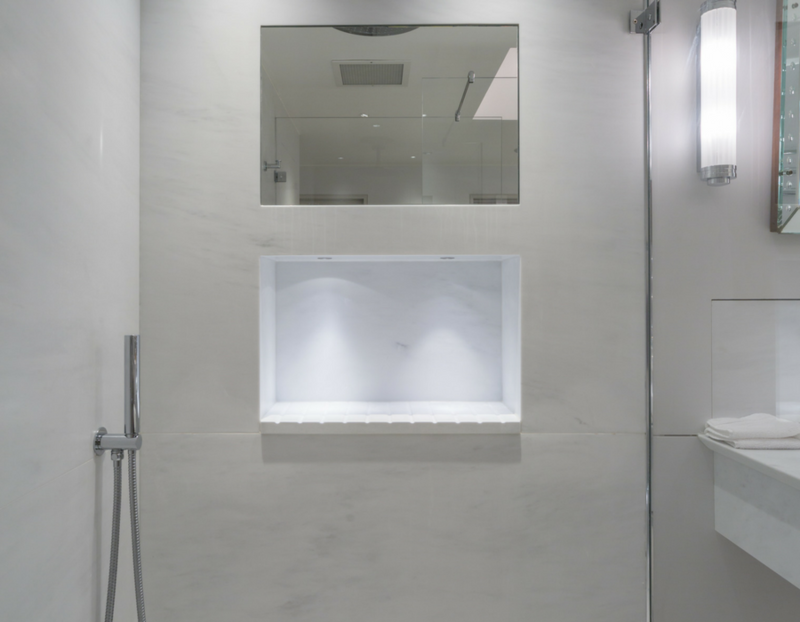 We also designed a bespoke eight centimetre-thick, carved shower base with a draining area, and a vanity unit made from Bianco marble.